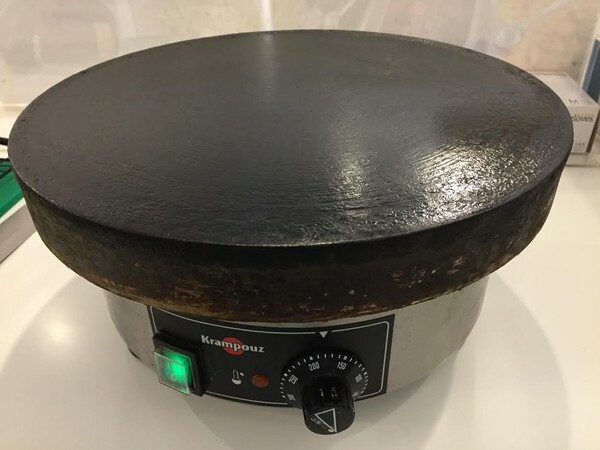 Famous Krampouz brand heavy duty electric crepe maker. 350mm diameter. Regular UK plug. Bought new 6 months ago. Works perfectly. Comes with accessories for free (spatula, griddle greaser, abrasive stone and wood spreader). Selling as part of store refurbishment. To be picked up from shop in London on August 30 or August 31). Collection from London, but happy to arrange delivery at cost. Available to pick up from our store in London on August 30 or August 31, 2017.